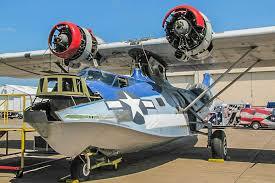 Consider a donation to our PBY to support the restoration. Click DONATE. Join the members of the CAF Lake Superior Squadron 101 in the amazing restoration of the Consolidated PBY-6A Catalina.This restoration has become a rallying point in our community, with several other aviation organizations stepping up to help push this project across the finish line. The Lake Superior Squadron 101 is part of the Commemorative Air Force. 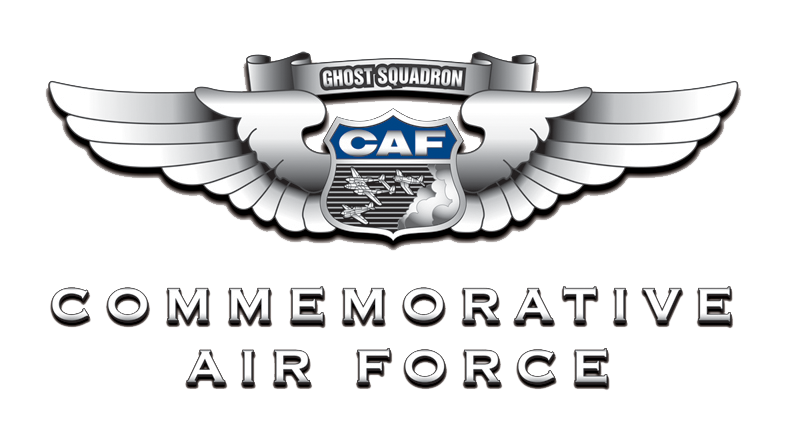 The CAF is an all-volunteer organization of women and men devoted to keeping vintage World War II aircraft flying and honoring the people who flew them. 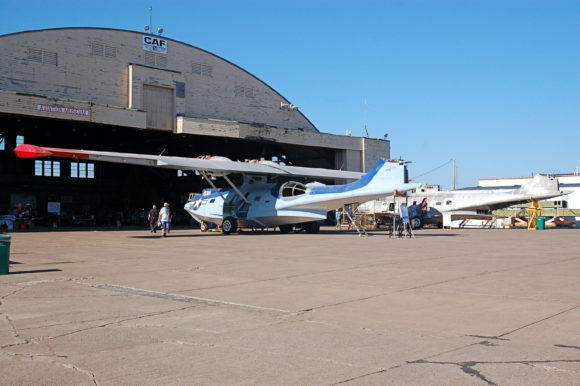 The CAF Lake Superior Squadron 101 has two PBY Catalinas on permanent display both of which are undergoing restoration to convert one from its current fire fighting capacity to its WWII appearance and the other to repair damage from an accident. The 2017 12 Planes of Christmas Fundraising Campaign is Now Open! It’s 12 Planes of Christmas Time! The CAF acquired PBY N7179Y in February 1994.In May 1998 a violent storm struck, flipping the aircraft onto its back and catastrophically damaging the wing. Faced with the unthinkable prospect of not having a flying PBY in the CAF, the Lake Superior Squadron 101 assumed the challenge of replacing the wing. The unit members of the CAF Lake Superior Squadron 101 are continuing the amazing restoration of their Consolidated PBY-6A Catalina. Their restoration has become a rallying point in their community, with several other aviation organizations stepping up to help push this project across the finish line. 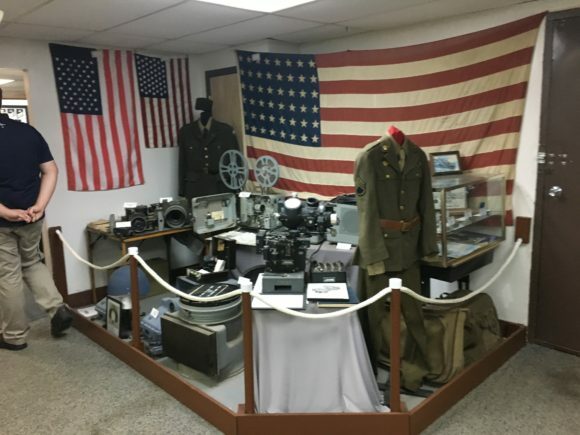 Our Armed Forces Museum was started by squadron volunteers in 2001 and has since grown has to offer over 3,000 historic artifacts ranging from the Civil War to today in an over 2,400 square foot area. CAF is located in Hangar 101, which dates to 1948 and for almost three decades was an aircraft maintenance hangar at the Duluth AB. The hangar was abandoned in 1982 when the USAF shut down the Air Base and the SAF remained its heating system removed.